Chai Tea Brownies: Are these a sign of Stockholm Syndrome? OK, I admit it: This is another solo-Husband dessert project that the wife can’t eat. Wait, hold your hexes and curses! Yes, I made this dessert while my wife is under doctor’s orders not to eat sweets until our son is born. But this dessert was not made with intent to torture. In fact, my wife played a key role in its design. We were having guests for a dinner party and I was contemplating dessert (a must, in my mind, for dinner parties). Since we’ve had such bad weather of late, I had this overwhelming desire to make something chocolate, dense and almost tooth-achingly rich. At the same time, I wanted something slightly bitter to contrast nicely with sweet pistachio ice cream. I was going to make an espresso or coffee brownie. In fact, I was about to grind some beans and start brewing when my wife saw a can of chai tea powder in the cabinet and asked, “Why don’t you use that instead?” It was a moment of brilliance — not unlike discovering antibiotics from a stale cheese sandwich. 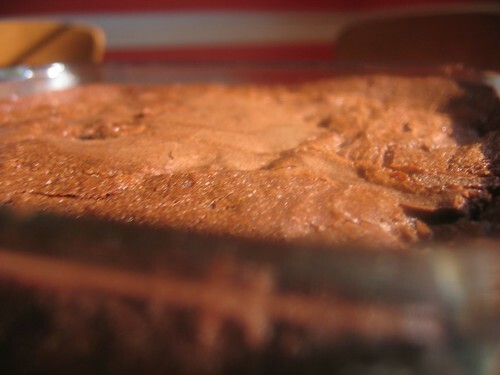 Once added, the chai tea gave the brownies a tang, fragrance and spice, but didn’t interfere with the brownie’s density and tendency toward being gooey (which any decent brownie should have). I will warn you, however, that I am not kidding when I say these are rich. Flavor-wise, an inch will get you a mile. These are not the brownies from your childhood; you can’t consume a quarter of the pan and wash it down with a glass of milk. So, if you serve them solo, small slices are the way to go. I personally think the best match is my pistachio ice cream. The creamy, salty, nuttiness of the ice cream cuts through the density of the chocolate and plays well with the spices from the chai. Alright, truth be told, you should probably still curse and hex me. I was making dessert that my wife had to sit and watch several others eat while she sat there, dessertless. I do provide some relief by keeping her cravings at bay with large quantities of blueberries. Isn’t everything made better with blueberries? Then again, maybe I am a bit cruel and torturous. Perhaps I’ve just worn her down, and now she’s developed Stockholm Syndrome. That would explain why she gives me tips on how to make a better brownie. Hmmm… Well, can’t be bothered with logic and reason, back to the kitchen with me! … I’ve got this idea for a cake, and I need to go ask her what she thinks about it. 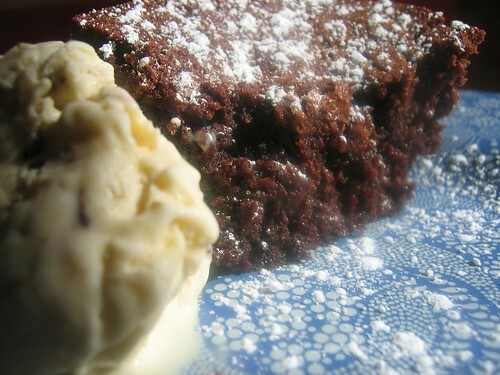 Click here to download the recipe for Chai Tea Brownies. I love me some fungus. Well, not just any fungus, of course. 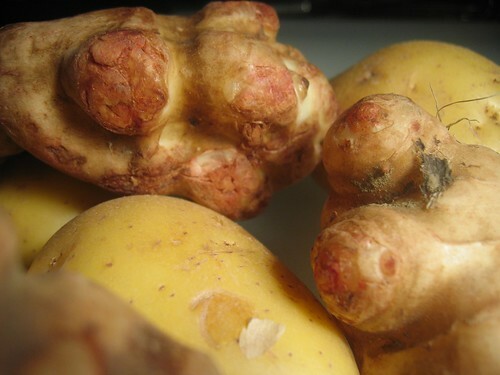 The kind that is heaped in baskets at your grocery store… mounds of brown or white caps or springy yellow tops, clusters of white tendrils or hills of fluffy golden folds. I’m talking about mushrooms, people. I’m quite convincing aren’t I? Well, it turns out that I am. 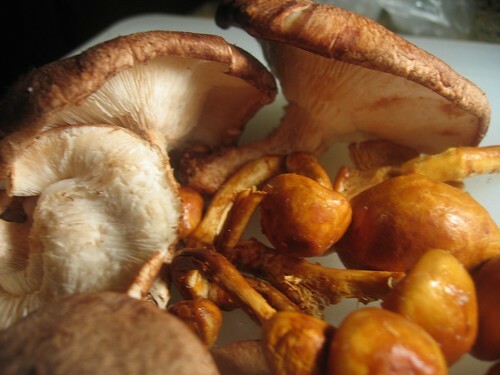 According to my husband’s backgrounder, I have converted him to fungus-lover. It’s true: He used to wrinkle his nose at mushrooms and push them onto my plate. (No complaints from me on that one.) Now, his spoon is battling mine for the dregs of mushroom soup. I guess I can’t take full credit for the delicious soup we’re offering today, though. Below my husband confesses that I inadvertantly threw down the mushroom soup gauntlet: I had always held that a mushroom soup we had in Brussels was the best I’d ever had… until recently, when I said Daniel Boulud’s might be better. Apparently my swooning over the mushroom soups of two French-speaking chefs was just too much for him. 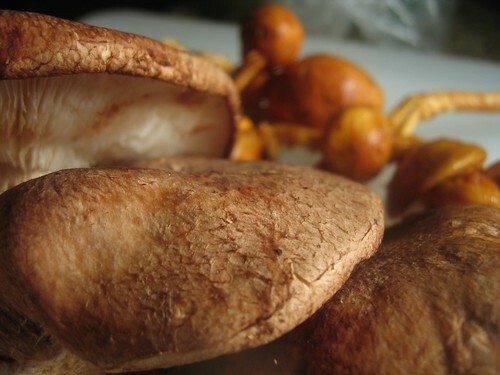 He secretly determined to make a better mushroom soup in his own kitchen — thus sealing my love forever. Well folks, you can’t buy my love with mushroom soup (I only accept blueberry currency). But if you could — this would be the soup that would win my undying affection. It’s rich, it’s creamy, it’s delicious — and most important, it’s mushroomy. 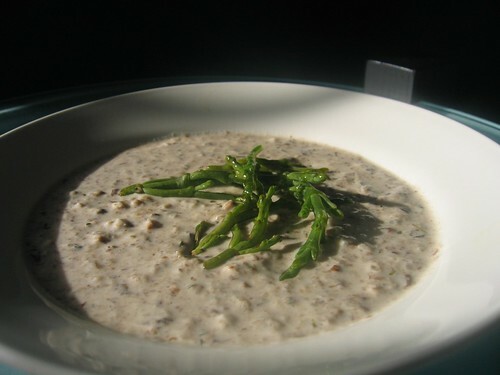 Pick up your spoons and man your bread crusts… It’s mushroom soup time. 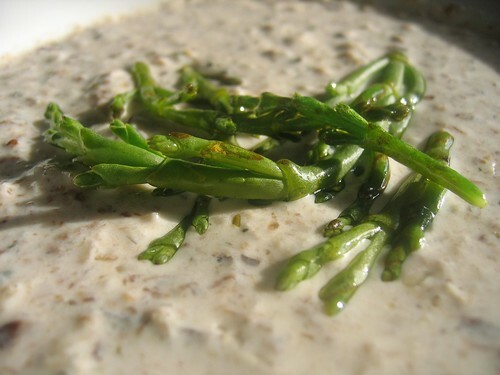 Click here to download the recipe for this Mushroom Soup. Today is Mardi Gras. For many, it’s the last day before Lent and its traditional sacrifices until Easter. Hence why Mardi Gras (translated as “Fat Tuesday”) is so important to revelers: It’s the last day you can gorge on delights that will be shunned for the forty days that make up Lent. So today I bring you something to really challenge you during Lent, something terribly difficult to give up, something to make you truly appreciate the day. No, it’s not some beautiful king cake or similar dish. I give you beautiful, tropical pineapple doughnuts. 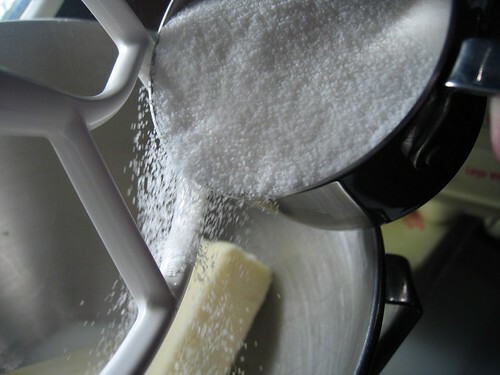 And because my wife is under doctor’s orders to avoid simple sugars while pregnant, she is sidelined from this recipe. Today it’s a solo act. Sure, it’s a much less entertaining dog and pony show but, alas, what am I to do? She also wants me to point out that she’s got a head start on Lent because for two months she has gone without sweets. Oh, what we do for our children! But at least when my son is able to eat solid foods, he’ll eat well. 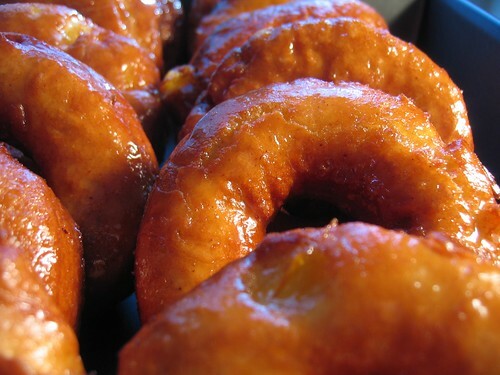 So, on to the substance of these pineapple doughnuts. 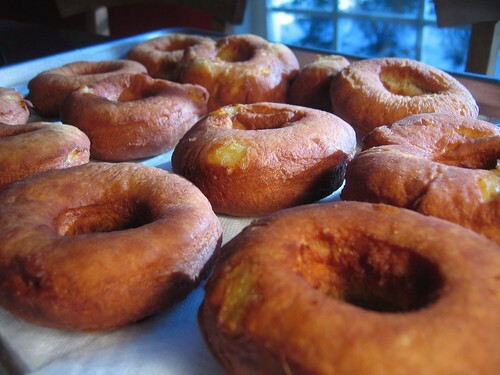 These are cake doughnuts, which are built like quick breads with chemical leveners (baking soda and baking powder), similar to muffins and pancakes. This means they have a nice density to them and can be prepared relatively quickly because they don’t have to rise like a brioche or my pecan beignets (a take on a New Orleans classic). To me, what clinches this dish is the flavors — coconut milk and pineapple. In fact, I almost called this a pina colada doughnut. The coconut appears in the glaze and the body of the doughnut, and gives this breakfast treat that extra something special. But it was those pieces of pineapple stratified in the doughnut’s layers that are really king: Hence, pineapple takes top billing in the name. 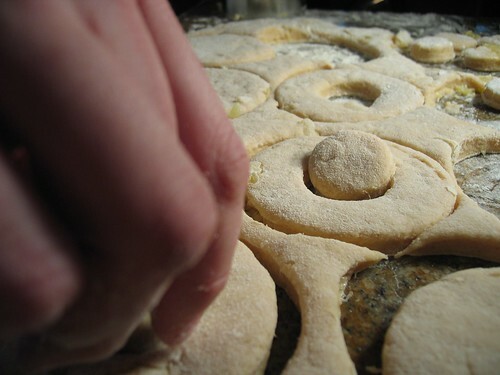 A few technical notes: First, the doughnut’s hole is important. 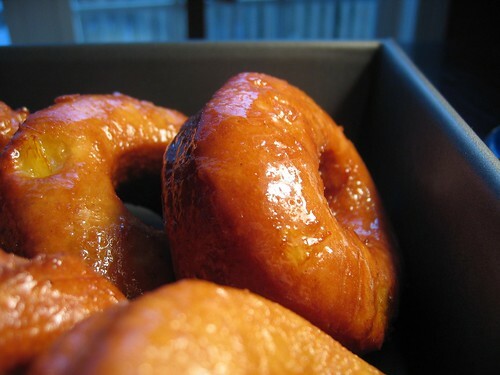 It allows the doughnut to cook up quickly and evenly. 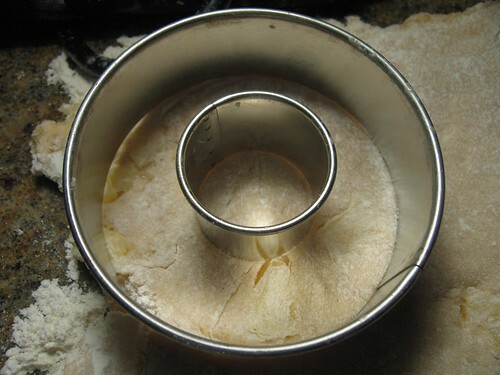 So while you can skip this step, I would recommend the hole for more then just authenticity’s sake — it makes a better doughnut. 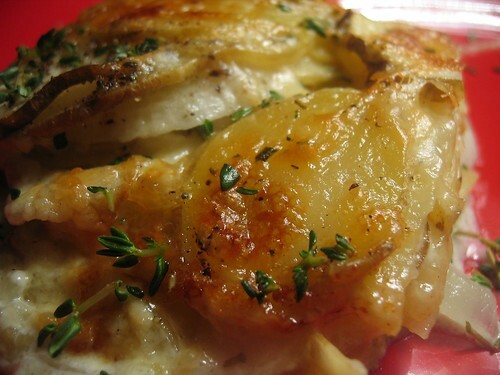 Second, I use canned pineapple in this recipe. I’m 99% positive you would have excellent results if you used fresh pineapple. I chose canned, though, because of its ease of use and because of its syrup, which I wanted to harness in making both the dough and glaze. Nevertheless, I encourage you to work with fresh if you want. Finally, one of the first steps in this recipe is reducing the syrup from the canned pineapple. I did this because I wanted the flavor, but not the volume of liquid. However, I think you would have excellent results without this step. So if you are hurried for time, feel free to skip this and follow the measured amounts. Before I go off merrymaking on this day, I have to ask for a ruling from the reader: Is it doughnut? Or donut? Both are correct according to both Webster’s and Oxford American dictionary. 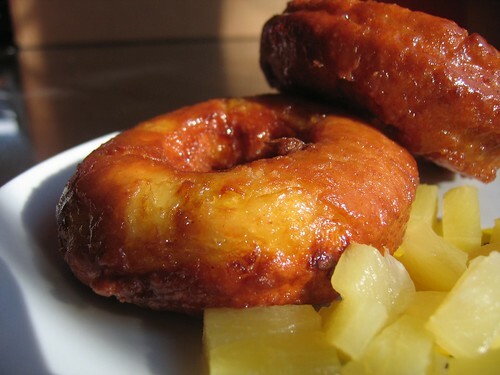 Click here to download the recipe for Pineapple Doughnuts. Ringing in the Year of the Pig with Crab Rangoon and other old favorites. Happy New Year! (Any excuse for revelry is OK by us – especially if you can wish folks a happy new year twice within months.) For the Chinese, and many other Asian cultures, today is the first day of the lunar calendar. In some parts of the world, this occasion will be met with great fanfare and festivity. Personally, we feasted on Peking Duck with friends last night. And this morning, we offer some more festive dishes: A few old favorites and a new one, Crab Rangoon. 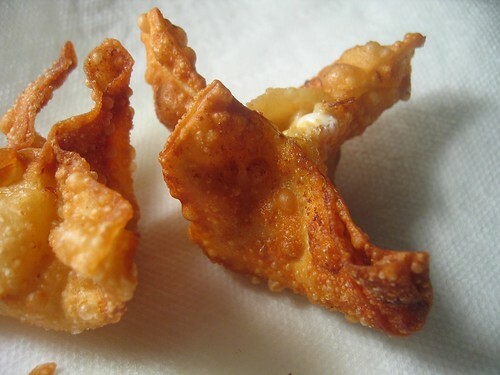 OK, we admit it, crab rangoon is not a traditional dish. It’s likely unrecognizable to any devotee to Chinese food. Like meatballs to Italian-Americans, crab rangoon is a derivative dish that probably seeks to satisfy American palettes more than others (um, cream cheese, anyone?). And we further bastardized it by putting a spicy twist on it. So why choose an inauthentic dish on this day? Because it’s a crowd pleaser – and if you don’t have crowds to please today, you may tomorrow or perhaps next Thursday. If you are looking for other dishes to make to celebrate the day, or at least add a bit of Asian flavor to your table, we also offer you a trio of our favorite old recipes. 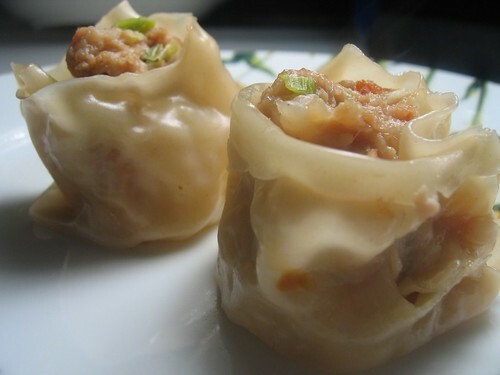 Sui Mai: This is a classic dim sum dish and Wife’s favorite. They’re dumplings filled with pork and shrimp. 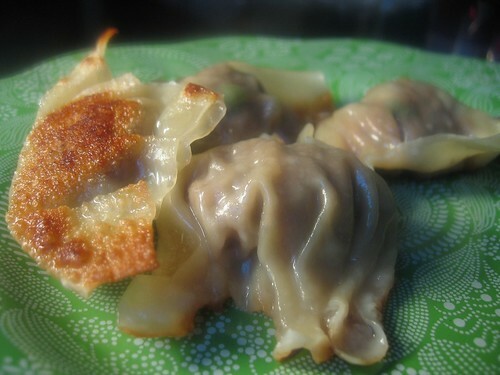 Potstickers: A family favorite filled with the intense flavors of beef, ginger and soy. 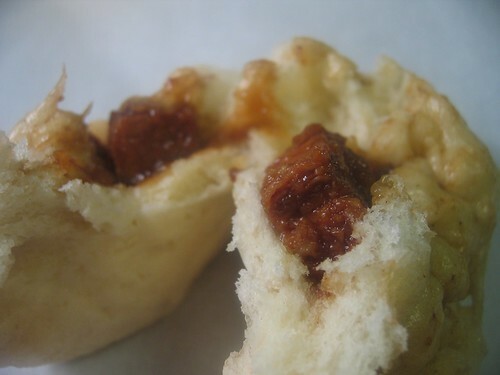 Char Sui Bao: Our take on another classic dim sum dish. Filled with sweet pork swaddled in steamed bread, it’s truly delicious. Click here to download the recipe for Crab Rangoon. Taco night redux: Duck tacos with corn and blood orange salsa. Ah, taco night. I’ve lavished praise on that sacred evening in the past, but it’s worth repeating. I love taco night: My husband makes some tasty, spicy beef filling, whips up some salsa fresca, dissects some avocados, piles on sour cream and cheese, and even makes his own homemade taco shells. 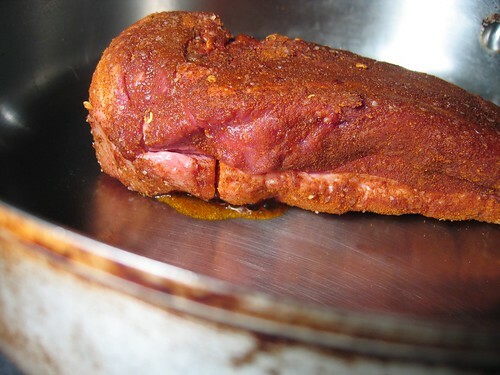 I knew things were on the right track when, as he was carving up delicate and thin pieces of duck breast, I — ahem — sampled one, and found the meat to be tender, juicy, spicy and delightful. It had all the things to like about duck, and none of its distasteful qualities (a fishy, fatty, chewy texture). Then I spied the special salsa my husband had prepared: a sweet and spicy corn and blood orange salsa fresca that served as a perfect partner to the spicy duck. And finally, I saw that he’d prepared all my special toppings — cheese, avocado, sour cream — and of course, homemade taco shells. Fear not, folks. 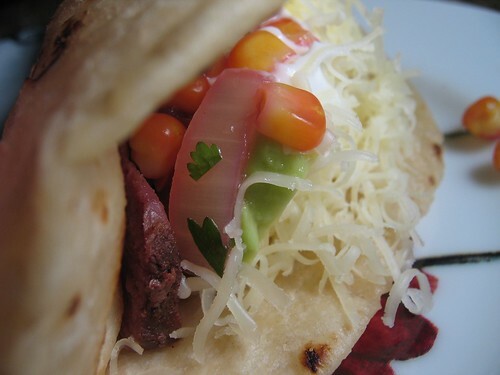 Taco night has been preserved… and, dare I say it, improved? Click here to download the recipe for Duck Tacos. 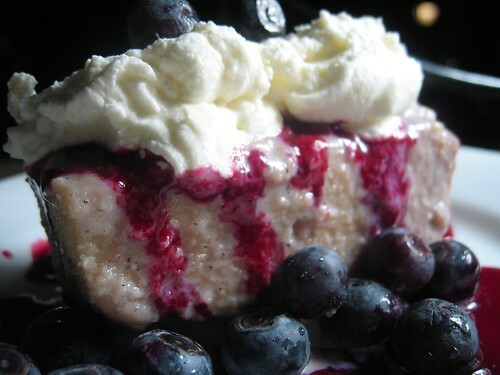 Blueberry tres leches cake: An alternative to chocolate or a happy (or cruel) Valentine’s Day for Wife? For the first time in a long time, Valentine’s Day vexed me. Was it that I couldn’t find the right gift? 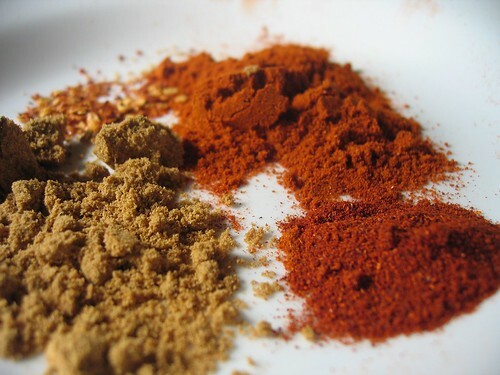 Or decide what to make for dinner? Or find flowers pretty enough to make my wife swoon? No, I was vexed by this this blog. I was trying to think of ways to reflect romance on a plate. I wanted to create something that is Valentine’s Day. To me, that means dessert; specifically, getting out my bakeware and working with chocolate. 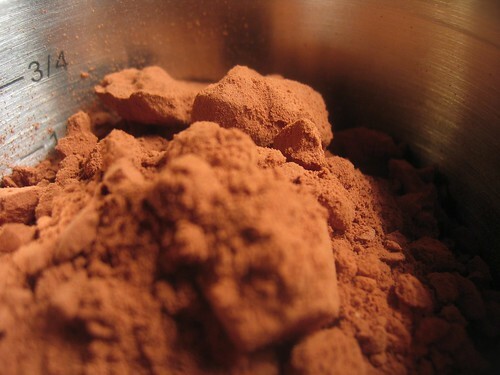 Trouble is, when you look out at the universe of yummy Valentine’s Day offerings, the chocolate genre is well covered. Furthermore, my wife likes chocolate, but it’s not her favorite. As we’ve pointed out in previous posts, she’s all about the blueberry. And what is more romantic: A box of chocolates? Or giving someone something that shows you know them? So, I offer up an alternative to chocolate… I give you “Blueberry Tres Leches Cake.” For those not familiar with tres leches cake, it’s a milk-soaked cake common to Latin American cuisine. Tres leches translates literally as “three milks.” So it’s actually soaked in a combination of evaporated milk, condensed milk and whole milk or cream. Here, we put a twist on it by blending in some blueberries with our soaking milk. We also add a blueberry coulis (fancy word for strained purée sauce) to reintroduce the acidity and brightness of the blueberries. 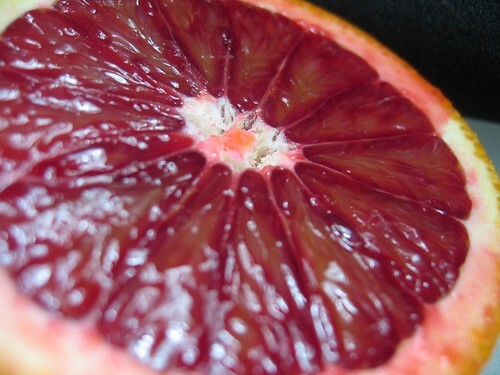 The coulis also has the benefit of playing down the gray coloring of a cake soaked in blueberry milk. And finally, we top it all with some fresh whipped cream and more blueberries. 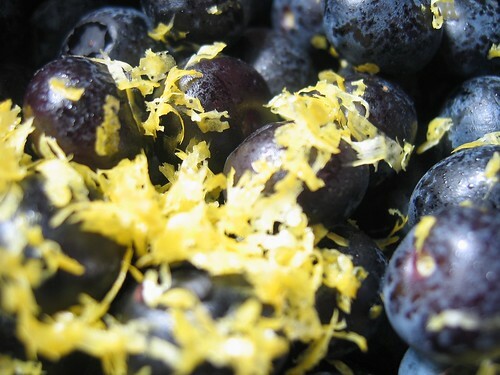 In essence, we are creating a blueberry-palooza in a cool cake. Some technical notes before I’m done. First, you can use frozen blueberries in this dish. Aside from the garnish, there isn’t any reason you couldn’t. I actually used fresh here because I keep so many in our fridge to keep the wife and her passenger happy. Second, this cake can be topped with whipped cream in the pan and cut out. In fact, most recipes use that technique. I don’t do that here strictly for presentation reasons. I wanted the brightness of the coulis to cover up the purple-blue gray of the cake. If I had coated the cake with whipped cream first, I would drizzle the coulis on the plate and/or over top of the whipped cream for the same effect. Finally, not to get “Semi-Homemade” with you, but I see lots of ways to cut the time and effort on this recipe. 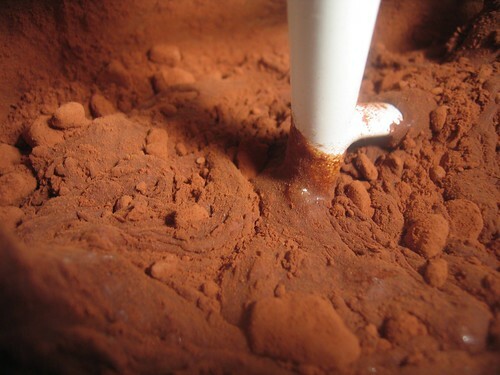 For example, you could use your favorite boxed cake recipe and likely turn out an even better version than mine. Or, you could buy a pound cake or similar boxed cake from the grocery and start by soaking that cake. A lot of shortcuts seem available, and you shouldn’t be afraid to grab them! If this cake reminds you more of summertime then Valentine’s Day, well that’s to be expected. 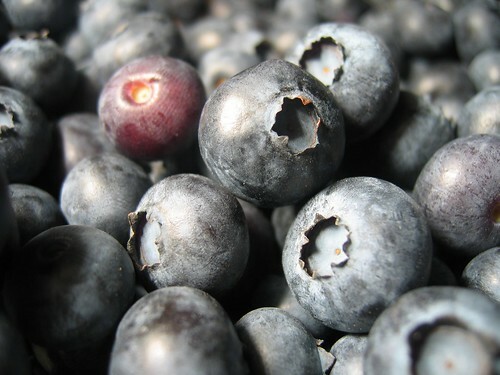 But my valentine would give up chocolate forever if I promised her blueberries every day. Since, I can’t do that for her, I made this. I hope you all have a good time with your special someone tomorrow. 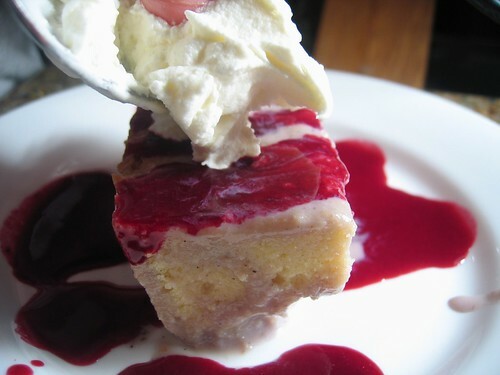 Click here to download the recipe for Blueberry Tres Leches Cake. 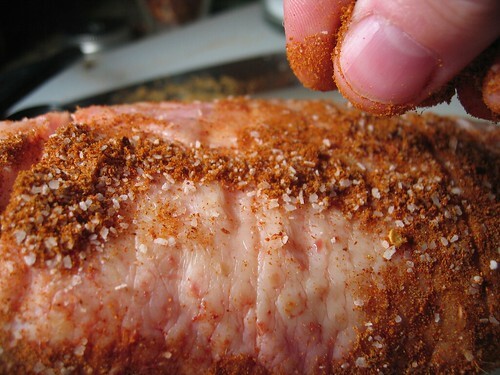 You are currently browsing the My husband cooks blog archives for February, 2007.